Did you know? Leap seconds are adjustments made to Coordinated Universal Time (UTC) so that the UTC time standard, which is measured by atomic clocks and used for international timekeeping, can be synchronized with astronomical time to within 0.9 seconds. The Earth’s rate of rotation around its axis is irregular, while atomic clocks are engineered to tick at the same speed for eons. The addition of leap seconds ensures astronomical time and UTC (otherwise known as Greenwich Mean Time) remain in accord. The standard allows leap seconds to be applied at the end of any month, but so far all have been implemented on June 30 or December 31. Since their adoption in 1972, 25 leap seconds have been inserted, the last of which took place on June 30, 2012 at 23:59:60 UTC. The next one is scheduled for June 30, 2015 at the same time. The average day has 86,400 seconds, but atomic clocks do not define one second as 1/86,400 of the time it takes the Earth to travel around its axis. In atomic terms, one second is 9,192, 631,770 cycles of the standard Cesium-133 transition. It’s an intricate calculation that’s incredibly precise, whereas the Earth’s rotation is slowing down over time, making the days irregular in length. An Earth day averages 0.002 seconds longer than the time tabulated by the atomic clocks. The result is a discrepancy of about one second every year and a half. Leap seconds ensure this discrepancy does not get too vast over time. In theory, at least, leap seconds can be positive (with one second added) or negative (one second omitted), depending on the status of astronomical time results. All leap seconds have been positive so far, and the current pace of the Earth’s rotation makes it unlikely that a negative one will ever come into effect. Some scientists want to abolish leap seconds, which would effectively redefine the way time is measured, but a consensus has yet to be reached on the subject. In 2012, attendees at the World Radiocommunication Assembly in Geneva scheduled a new vote on the matter for 2015. They are an anomaly, making them a cause for concern with safety-oriented real-time systems, such as air-traffic control programs that use satellite navigation. Leap seconds are potential disruptions in computer systems that are closely synchronized with UTC. 2012’s leap second played havoc with LinkedIn, Reddit, Yelp, and other sites and applications. The Qantas Airlines computer system even went down for hours, forcing staff to check in passengers manually. Coding for these apps and systems are based on UNIX, which appeared in 1970, before leap seconds came into effect. 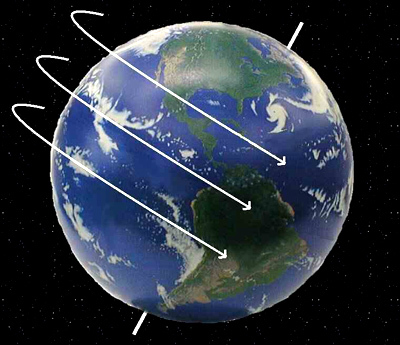 When the International Earth Rotation and Reference Systems Service, which maintains global time, signals to these computers that a certain minute has 61 seconds, Unix-based software systems become unstable. Google developed a solution after the leap second of 2005 caused system issues. It slowly adds a couple of milliseconds to the clocks on its servers throughout the day of an impending leap second, which bypasses the security settings without triggering disaster. Google’s fix has not been universally applied, and opponents of the leap second remain insistent that any time calibration benefits are overshadowed by the technological crises they cause. They point out that even if a leap second were applied every year, astronomical time would only be 16 minutes behind atomic schedule by 3015.